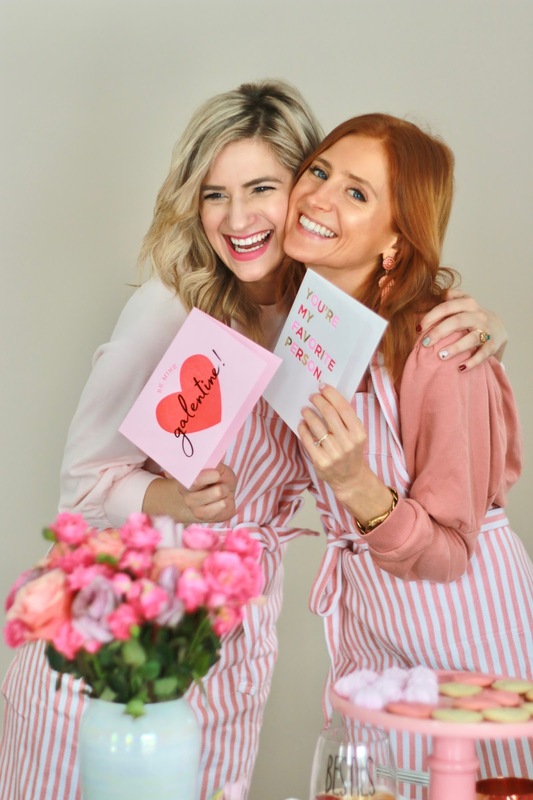 My blogger bestie (Gabriella from Pastels and Pastries) got together for a Galentine’s Day celebration. 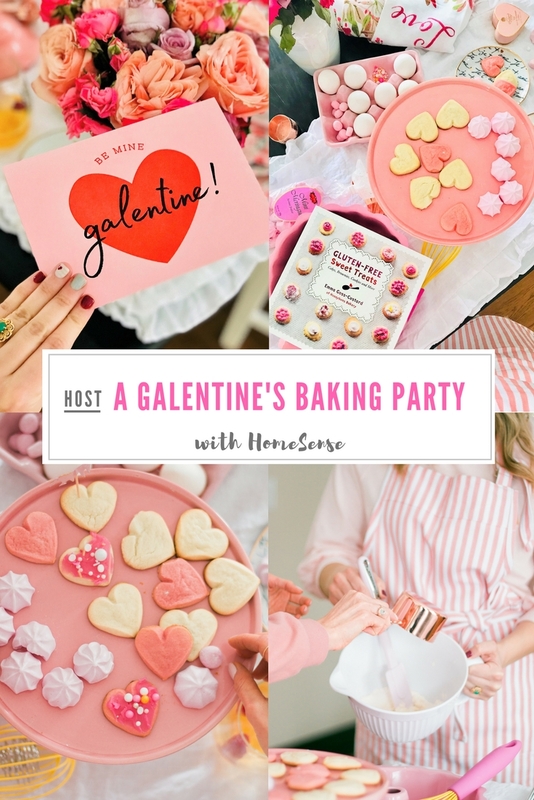 It was not hard to decide what to do for our little Galentine’s celebration. 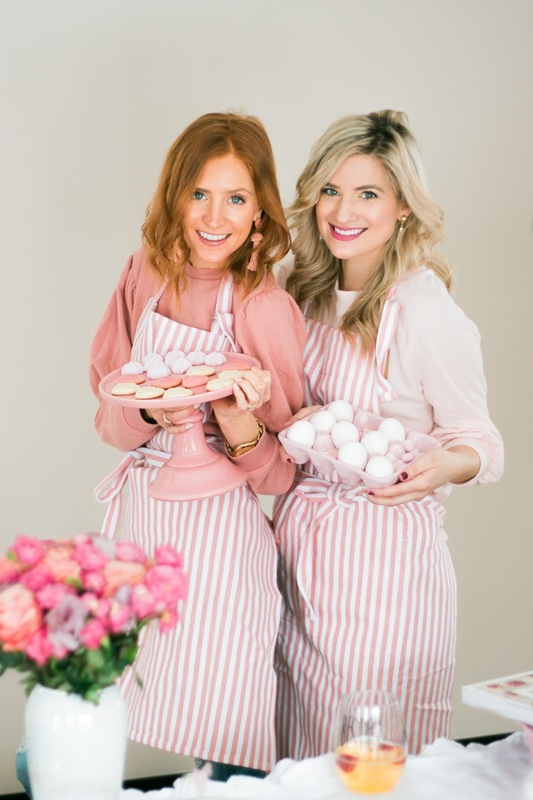 We both love sweets, super cute accessories from HomeSense, and baking. 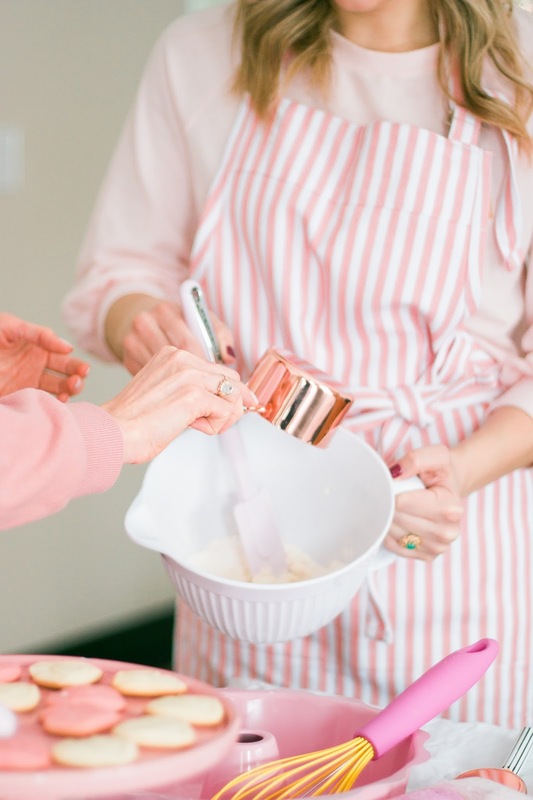 Baking is fun, but it is more fun when it is with your bestie. 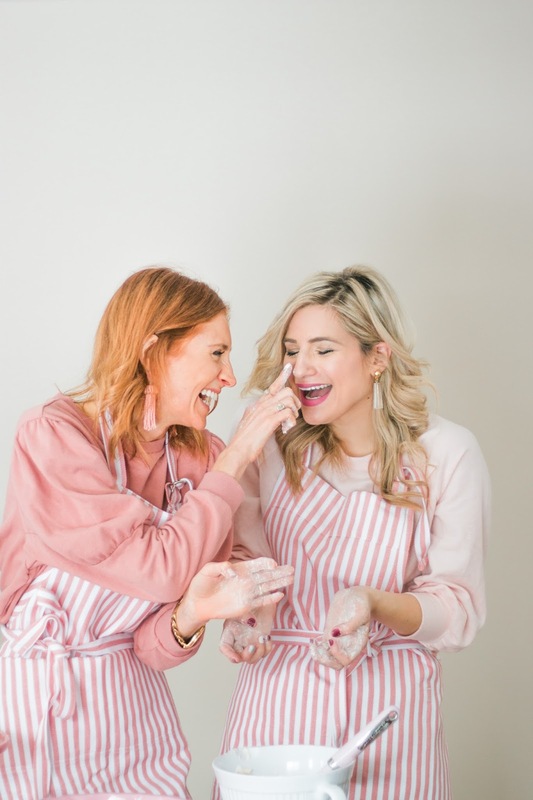 We had a blast baking and decorating cookies, and it was honestly the perfect afternoon filled with so much love and pink prettiness. 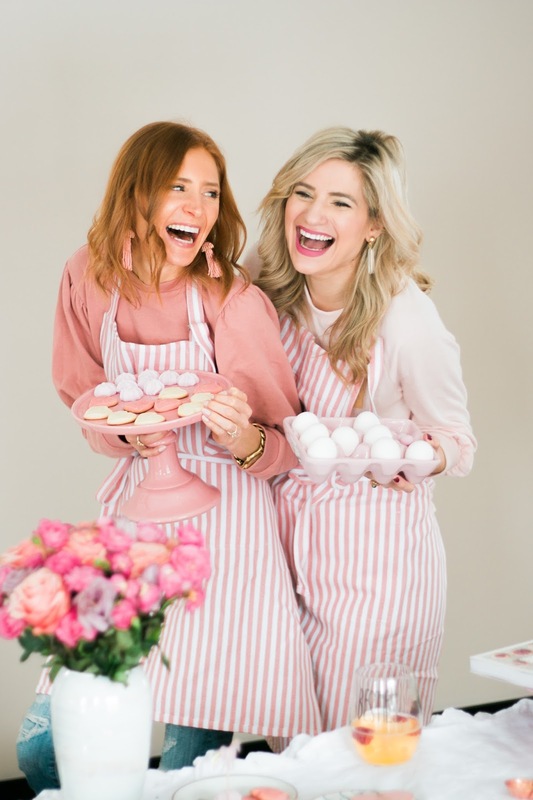 Read below all the details of how you can throw your very own fun Galentine’s Day Cookie Decorating Party without breaking the bank, while still having all the essentials. 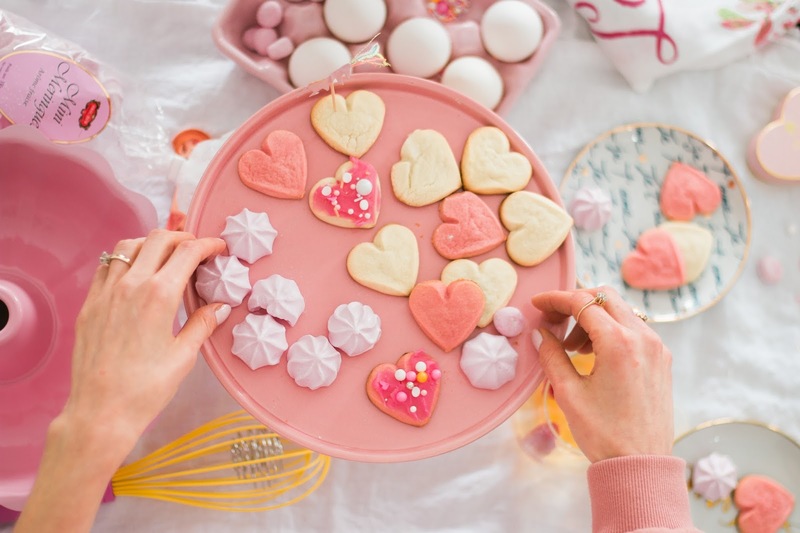 To maximize our time together, Gabriella baked some cookies before I arrived. 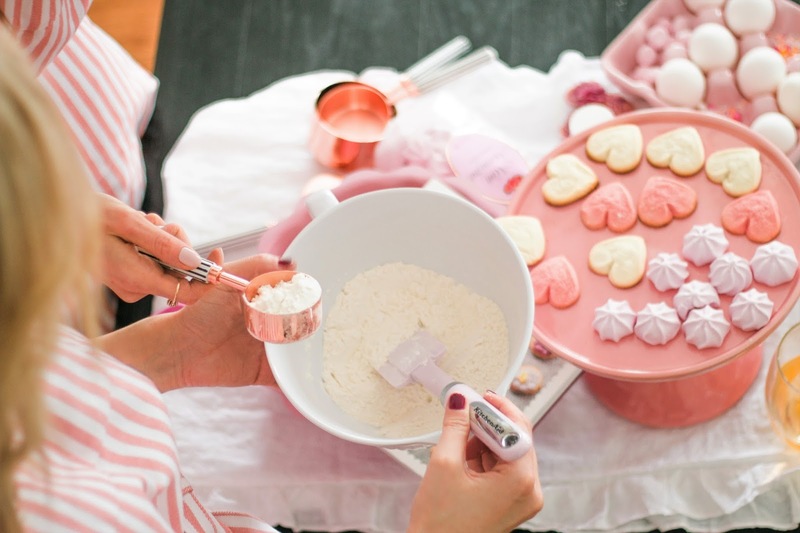 If baking is not your forte, HomeSense has you covered. 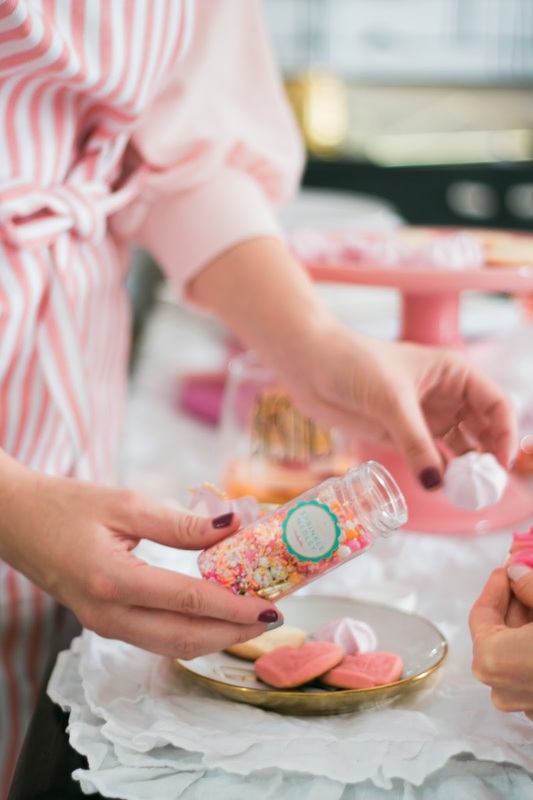 You can actually find cookie box mixes in their Baking Section which is a life saver if you have no time to make cookies from scratch. 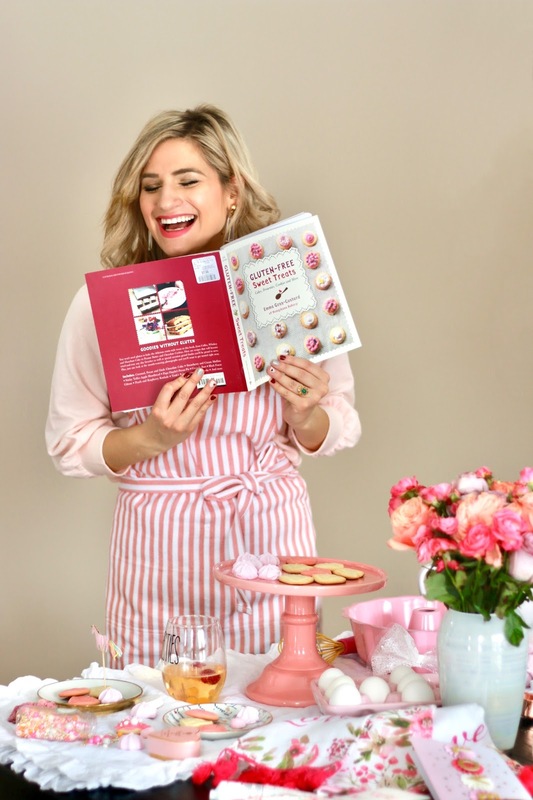 But, if you love baking, HomeSense also has an amazing selection of recipe books. 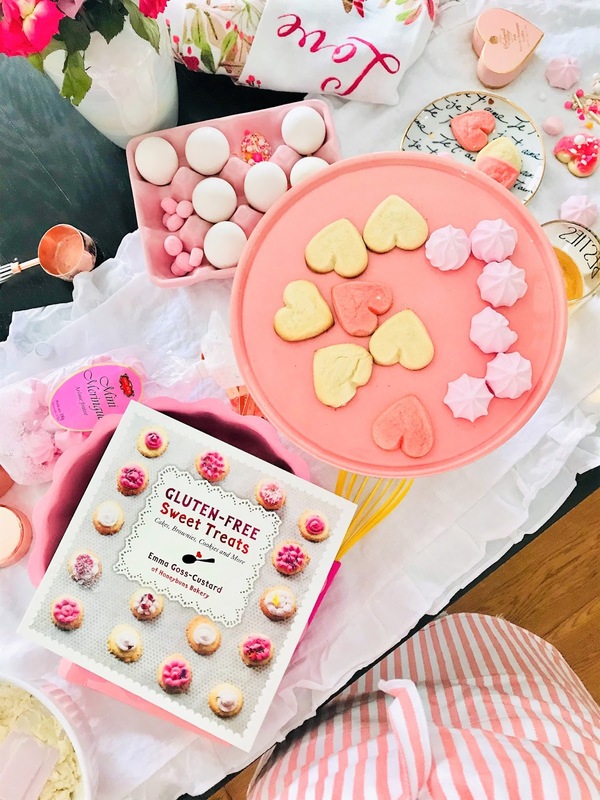 We picked up a gluten free recipe book for just $7.99 which is usually sold for $15 elsewhere. 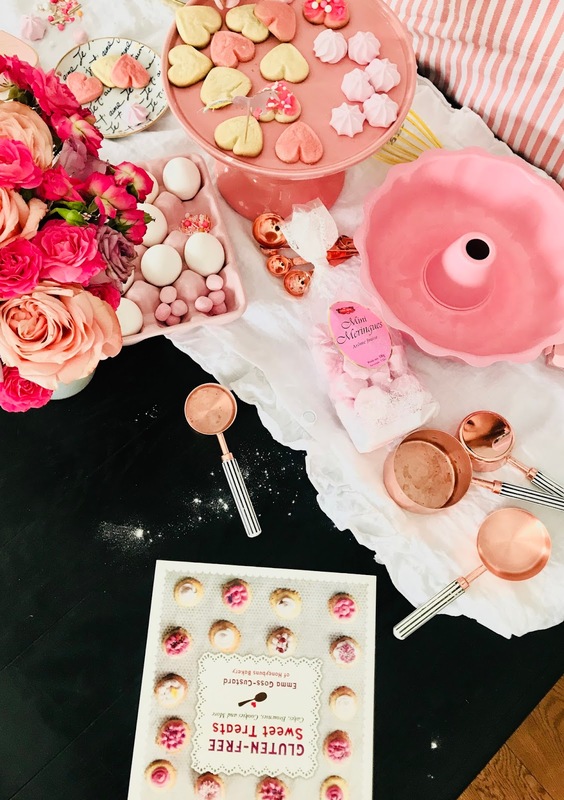 Other amazingly priced items we grabbed from HomeSense were a Sweetapolita sprinkle medley, pink meringues and Charbonnel et Walker chocolate truffle boxes for under $5 each compared to the $12 price tag at other stores. Decorating the space is just as important. 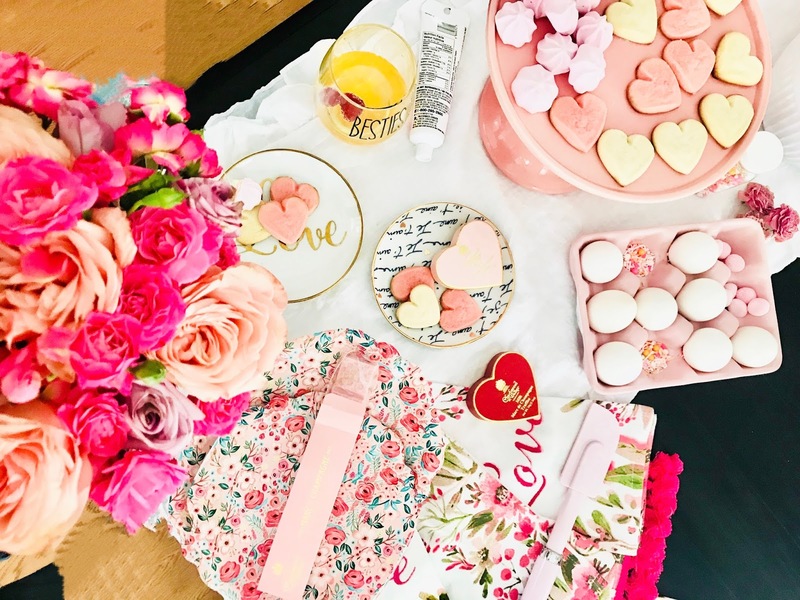 Add a beautiful bouquet of flowers, blow up some heart and pink balloons to create the perfect photo op, and don’t forgot some additional girly party décor from HomeSense, like adorable cupcake toppers, holiday themed plates, and even some cute glasses like our Besties cups. I am very traditional when it comes to Valentine’s Day and greeting cards. 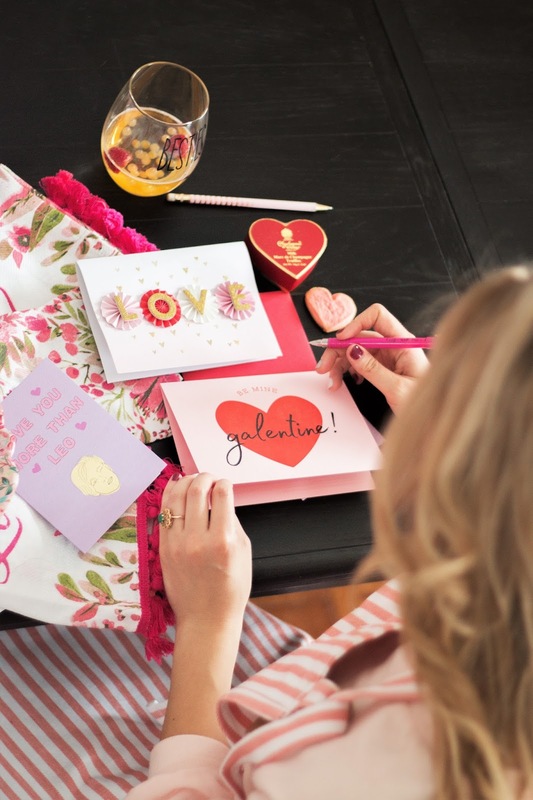 Valentine’s Day is just not the same without some love cards. It just adds that special touch to the day I simply cannot give up. 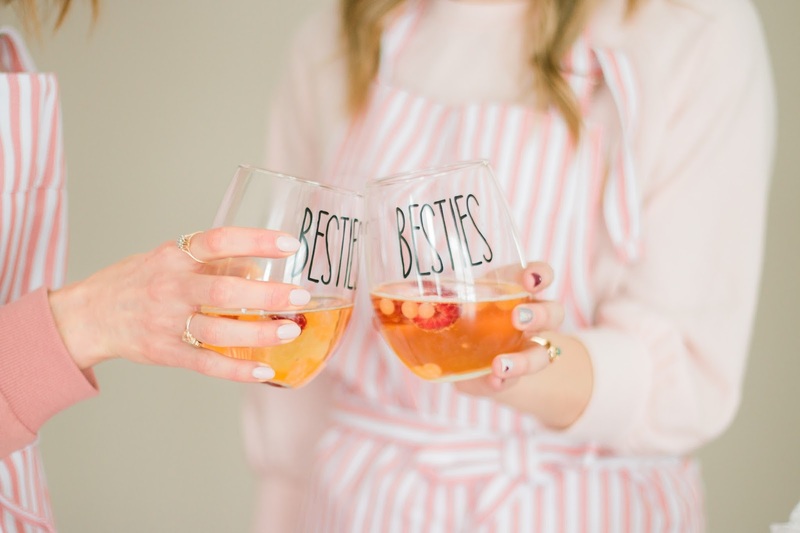 HomeSense has such a great variety of greeting cards that are funny, witty, and cheesy (something for everyone) and at such an affordable price. Can you believe I scored these cards for $2.99 each? Funny enough, Gabriella grabbed some of the same cards as me (when besties think alike). 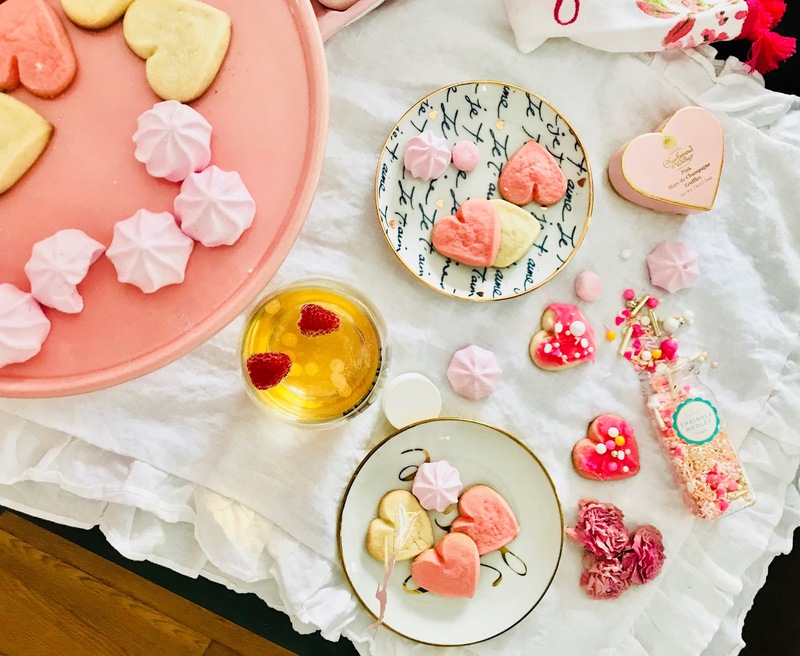 Whether you want to surprise your bestie with a fun Galentine’s day, or you are a busy mom that wants to do something extra special for her kids on Valentine’s Day, throwing a cookie decorating party is so easy, super fun and so affordable when you have HomeSense. 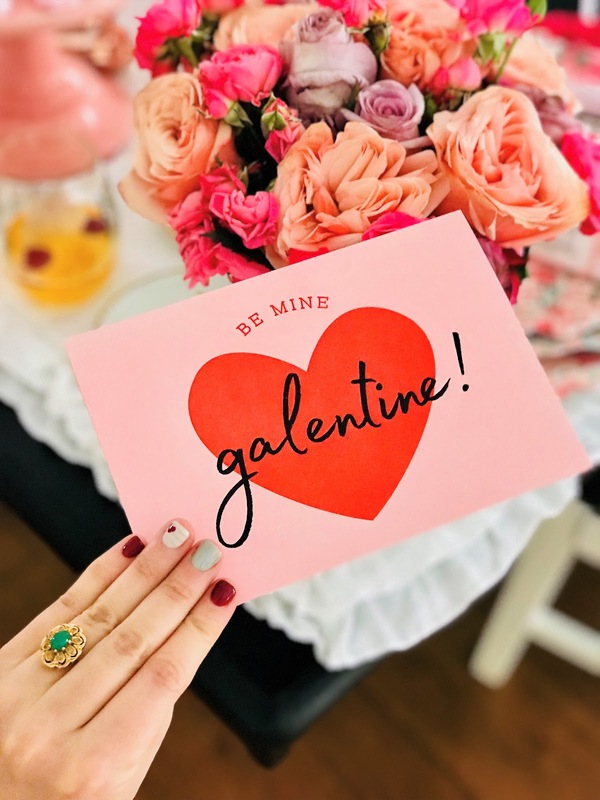 Check out Gabriella’s post for more Galentine’s Day inspo and great finds from HomeSense. 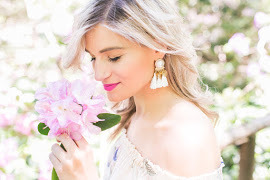 Thank you to HomeSense for partnering with us on this post. 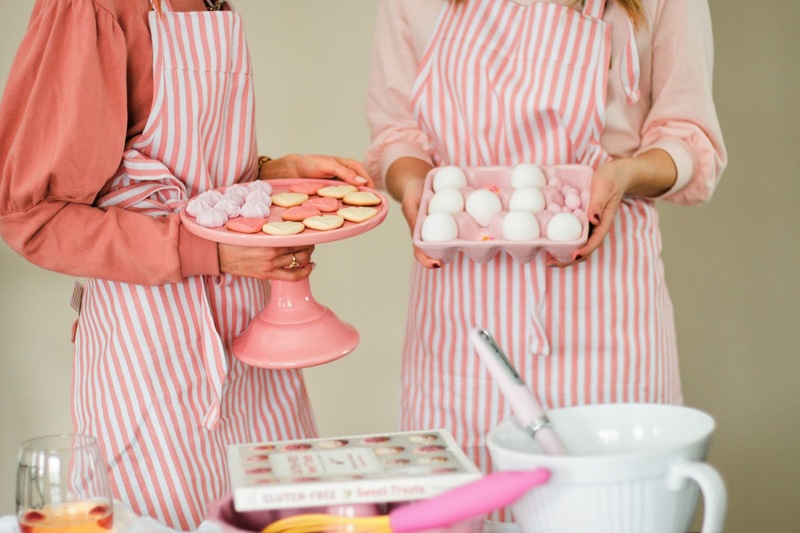 We love to bake and we all love all things girly. Previous Post Love Yourself: What Does It Even Mean? 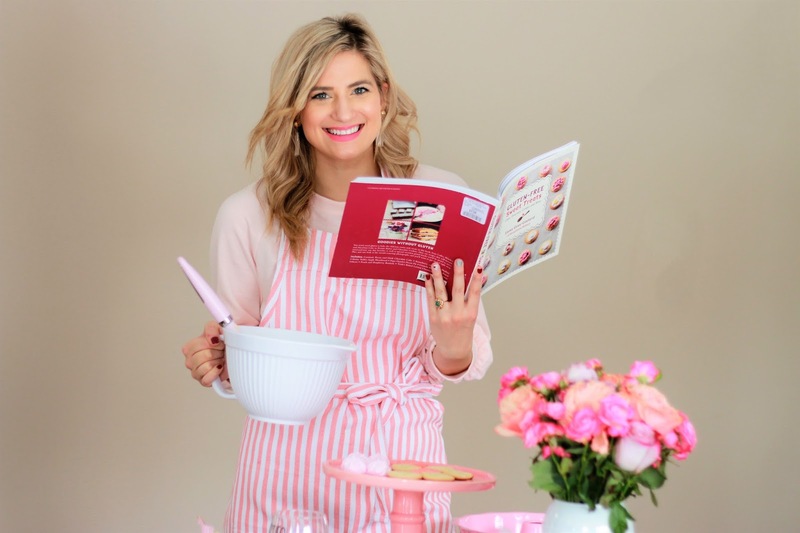 I'm digging the Gluten Free Cookbook <3. Looks like it was a fun day! This looks so much fun! 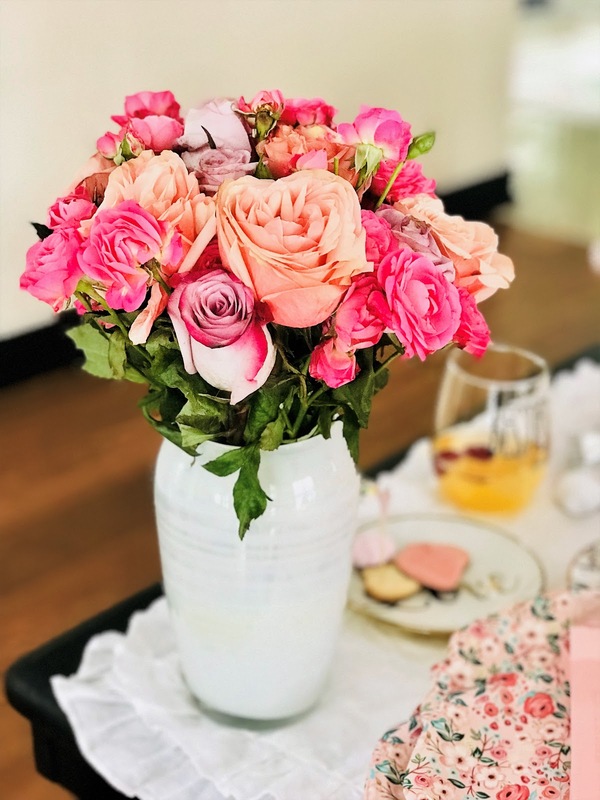 You girls are so lovely and beautiful! 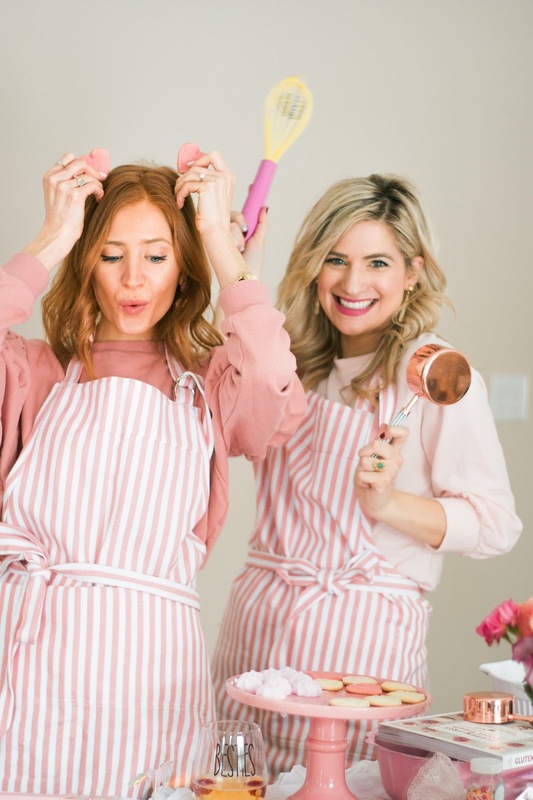 Baking is definitely your thing!Mine is shopping at Homesense! YaY! !